Take your riding level to some far out places with the Madrid Dude Africa pin tail longboard complete. 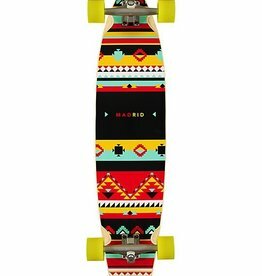 Madrid Dude Africa pin tail longboard complete. Custom African tribal print graphic at bottom.